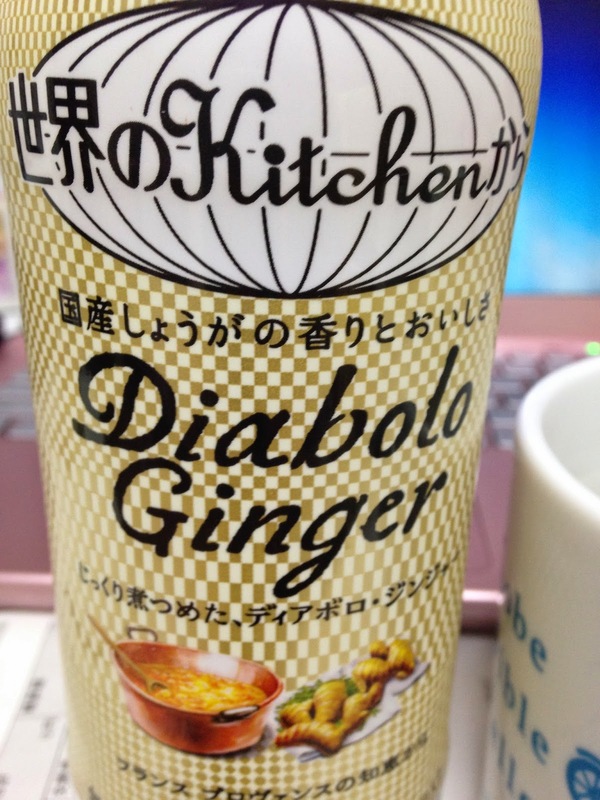 Continuing on my quest for interesting food and drinks while in Japan, here's Diabolo Ginger from the Kirin's Sekai No Kitchen Kara series. I've previously had the salted lychee inspired by Thai mothers; it was quite a treat during summer and reminded me a bit of home. They even made a really cute diaroma depicting a typical kitchen where a Thai mother would have made this refreshing drink for her family. Apparently this was inspired by the French mother's wisdom of simmering ginger in sugar syrup. Where I come from, ginger is usually used for cooking, but in other parts of the world ginger is eaten as candies, or used to make confectionery. To be honest, I would have mistaken this for ginger ale since it was fizzy and had gingery taste if I had not read the description behind, and went through the article where the Kirin folks visited Provence and apparently discovered this drink!